Xeneta, the benchmarking and market intelligence platform for containerised ocean freight, says that in-depth analysis of Q3 container shipping costs reveals positive trends for the beleaguered container carrier segment. According to Xeneta, which crowd sources shipping data from more than 600 major international businesses, covering more than 60,000 port-to-port pairings and over 17m contracted rates, the recent collapse of Hanjin laid the foundations for a trading period like no other. “It was certainly a stand-out quarter,” stated Xeneta CEO Patrik Berglund. 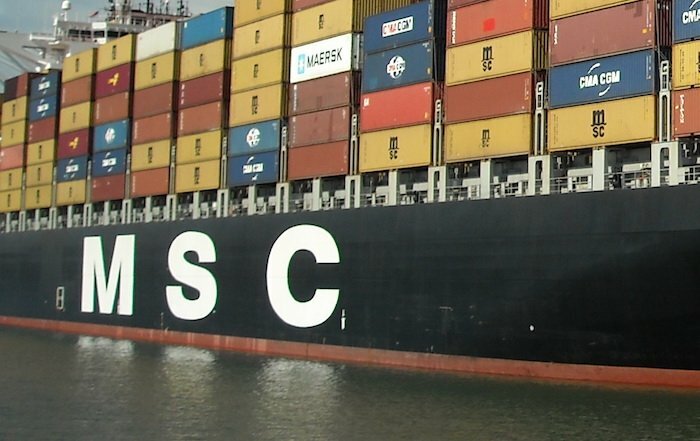 “Short-term rates on the world’s number one trade route – Far East Asia to North American main ports – sky-rocketed, largely due to Hanjin transforming oversupply to undersupply almost overnight. This enabled significant rate hikes, with the market average price for 40’ containers climbing by 47% across Q3, starting at $1,240 and ending on $1,826. “However, looking at today’s data we can already see that prices are trending down somewhat, meaning the Hanjin Effect is history. There is clearly still an issue of structural overcapacity, albeit more balanced now, and that pushes prices down – with risks for both the carriers and BCOs/shippers. Short term rates on the number two route – Far East Asia to North Europe – actually fell by 24% in Q3. On the plus side for carriers, Xeneta’s CEO noted that reported market low rates have risen spectacularly since Q1, climbing by 258% from the end of that quarter to the beginning of Q4. That curve stabilised in Q3, but remains on an upward trajectory. The data and trends are complex, Berglund admitted, but the feedback from Xeneta’s network of global shippers is perhaps simpler to decipher. He explained that large volume shippers seeking long-term contracts are reporting carriers aren’t prepared to negotiate near the bottom end of the current market, where many of the older, expiring long- term contracts sit. “This should wave a red warning flag to any shipper tendering/bidding for new long-term rates in January, the European norm, and next May, the US standard,” he said. “It makes it clear carriers have an expectation that the market will continue to pick up. Berglund added the caveat that it’s “too early” to accurately predict the market for 2017 though, citing the unpredictability of a segment that changes almost daily.